The “Fighting Fourth” was home-based at Camp Maui (aka “Giggle Hill”) during WWII operations in the Pacific. Camp Maui in Ha‘ikū (housing 20,000 Marines) was the main base of the 4th Marine Division. It is said it was nicknamed “Giggle Hill” because American soldiers training there would bring their girls here to “neck”. At night, you could sometimes hear the giggles of young women. At the outbreak of WWII, the Army rented 1,600 acres from various landowners in the Ha‘ikū area. The principal owners were: Hawaiian Pineapple Co. (490 acres,) Maui Agricultural Co. (397 acres) and the Copp Estate (220 acres). Thirteen different owners accounted for the remaining 493 acres. The rental for the site was $15,000 per year, prorated among the owners. Buildings went up for offices, tents for living quarters; mess halls were constructed and roads carved out. Post Exchanges opened up; movie screens and stages were built and baseball diamonds were laid out. The terrain and beaches of Maui provided excellent and rugged training ground. All the Division’s amphibious maneuvers for the Marianas and Iwo Jima operations were held off Ma‘alaea Bay. Haleakalā became a course with 13-mile hikes through its crater. A total of 47 training areas, many of them belonging to the Army, were available to the Division. Six areas, consisting of gulches and rough terrain, near the camp, were used for non-tactical maneuvering. On the outskirts of camp, a demolitions area, a live-grenade course, a pistol range and machine-gun range were set up. Five miles east of camp, in a gulch opening into the sea, was the Division’s bazooka area, and along the coast, east of camp for about ten miles, were combat firing ranges which permitted the maneuvering and firing of tanks and halftracks in coordination with the infantry. The Division’s 100-target rifle range at Opana Point was also located in this area. Another area in the vicinity was used to train motor transport drivers in the movement of troops and supplies under both day and night conditions of combat. The Ma‘alaea Bay area furnished an antitank moving-target range, a close-combat range, and a 20-point rifle range. The beach at Ma‘alaea Bay was fortified with pillboxes and emplacements modeled after the Tarawa Beach. In addition to all this, there was a mortar and artillery impact area, a seacoast artillery range and an antiaircraft firing area. Inland were two artillery positions and maneuver areas. 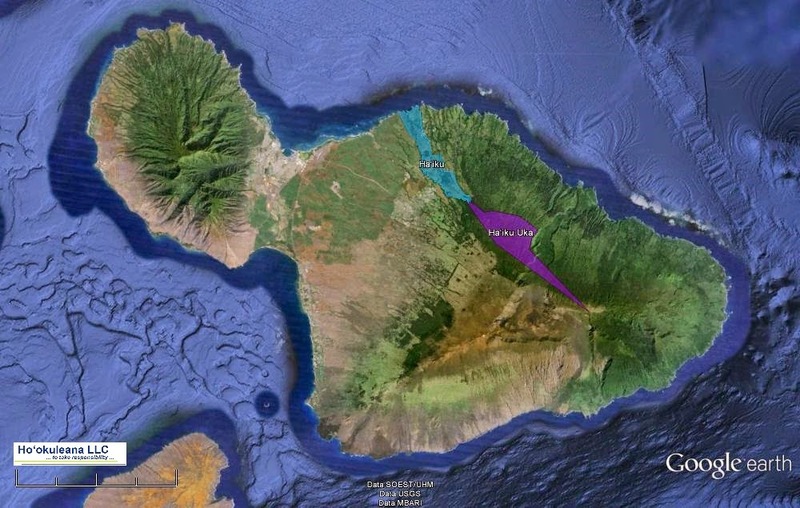 In the center of the island, near the Pu‘unene Air Station, were, the Division’s tank maneuver areas. Maui was involved in the war effort as a staging center, training base and for rest and relaxation. At the 1943-44 peak, the number of troops stationed on Maui exceeded 100,000. The 4th Marines were involved with four major battles: Kwajalein (Roi-Namur,) Saipan, Tinian and Iwo Jima, suffering more than 17,000 casualties. Kwajalein (Roi-Namur) – In one historic week, from January 29 to February 4, 1944, the 4th Marine Division set three new records: it became the first division to go directly into combat from the US. It was first to capture Japanese-mandated territory in the Pacific; and it secured its objective in a shorter time than that of any other important operation since the attack on Pearl Harbor. Saipan – The 4th Marine Division landed on Saipan June 15, 1944. The severity of this battle was indicated by the 2,000 casualties suffered in the first two days of battle. The Flag was raised on Saipan after 25 grueling and bitter days of combat. The Division sustained 5,981 casualties killed, wounded and missing (27.6 percent of the Division’s strength.) The Japanese count was 23,811 known dead and 1,810 prisoners were taken. Tinian – The 4th Marine Division landed on Tinian 24 July 1944. The island was defended by 9000 plus Japanese troops. This battle lasted nine days. The land assault on Tinian had cost the Division 290 men killed, 1,515 wounded and 24 missing in action. Approximately 9,000 Japanese troops were dead and 250 prisoners taken. In recognition of its work on Saipan and Tinian, the Fourth Division was awarded the Presidential Unit Citation. The Division arrived back on Maui from the Saipan-Tinian operations in late-August 1944. Iwo Jima – The Japanese troops on Iwo Jima numbered 23,000. The first wave of Marines hit the beach the morning of February 19, 1945. By the end of the second day casualties totaled 2,011. On March 16th, 26 days after the first troops landed, Iwo Jima was declared secured – the greatest battle in Marine Corps history was over. After the battle of Iwo Jima, the Division arrived back on Maui in early-April 1945. The 4th Marine Division was deactivated November 28, 1945. In April 1946, the Camp Maui land was returned to the owners. Today, the grounds are now a public park named “Kalapukua Playground” (“magical playground”;) Giggle Hill has a large children’s playground. The centerpiece of the park is the memorial to the Fourth Marine Division. Able Company’s mess tent, Camp Maui. Spring 1944.